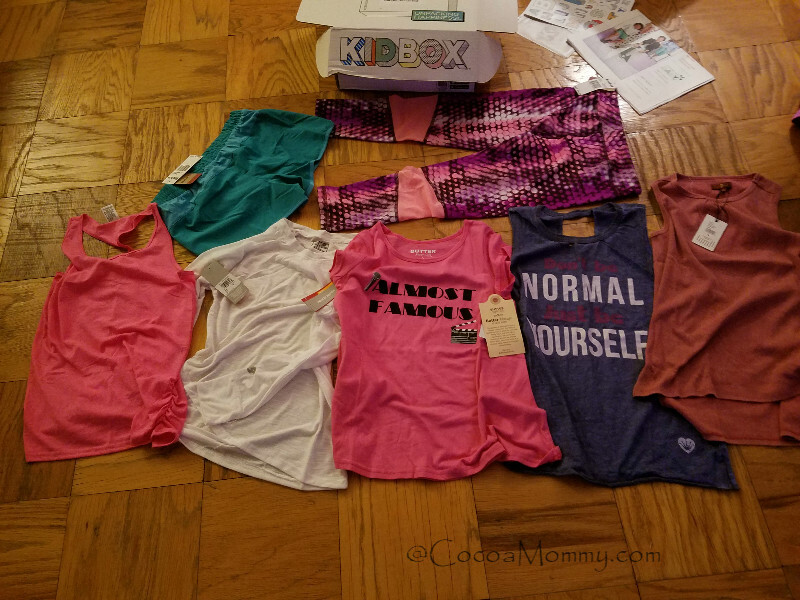 For kids clothing, KidBox is a seasonal box that ships five times a year. 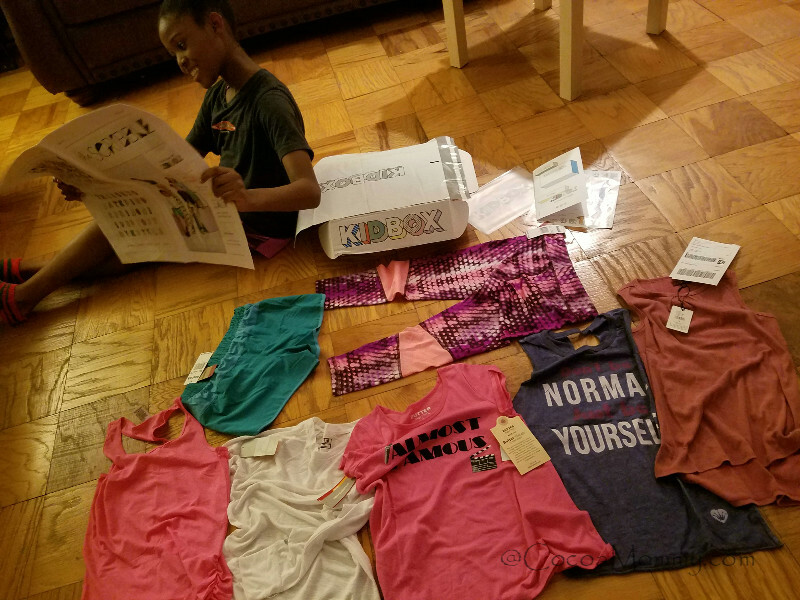 We tried a kid box and I loved the fact the box contained familiar brands such as Reebok, New Balance and 7 for all mankind. The box was received with a personalized note from the stylist, stickers, Kidbox newsletter(The Scribbles), and a reusable pouch. My ten-year-old is very picky when it comes to clothing. Her preference is activewear for school and on the weekends. The items are selected based on the profile you set up. The profile asks about outfit preferences, styles to avoid, and colors to avoid There are no costs when the box is shipped. When we received the box, I was extremely impressed with the quality of the clothing. The box contained five tops, one pair of leggings, and a pair of shorts. Her preference is activewear for school and on the weekends. The box items are selected based on the profile you set up. The profile asks about outfit preferences, styles to avoid, and colors to avoid There are no costs when the box is shipped. When we received the box, I was extremely impressed with the quality of the clothing. The box contained five tops, leggings, and shorts. Initially, my ten-year-old selected five items @$123.00. I love companies with social good missions. Kidbox offers significant savings if you buy the entire box @ #98.00. The purchase of the entire box donates an outfit to a child in need. It was more cost effective to purchase the entire box while giving back. On the KidBox website, you and your child can go to the website to select a charity of your choice. If you decide to try KidBox, you can use the following referral link to save $25 on your first box. For moms of infants, KidBox will offer Kidbox Baby this month for ages 0-20months.